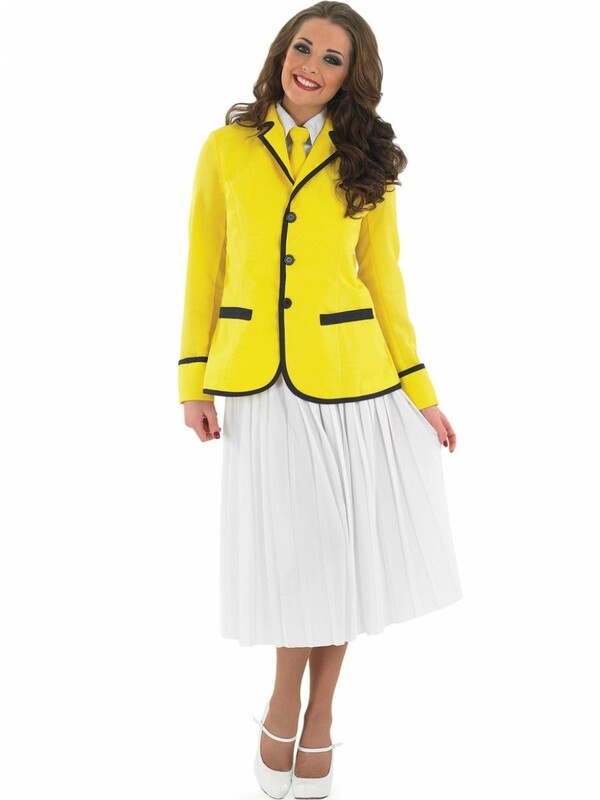 This complete Holiday Camp Hostess Costume is a fun look for 80s fancy dress, Uniform themes or any comedy look. This Holiday Camp Hostess Costume comes complete with everything you need to transform into this fun character; Jacket, Shirt and Tie insert and Skirt. The bright yellow Jacket with navy trim is a really bold look which is sure to turn heads. 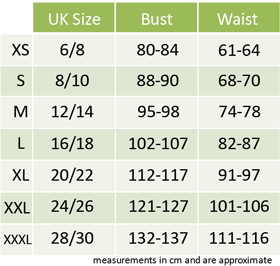 It fastens at the front with button fastening and has two mock pockets at the front. The Shirt and Tie insert sits underneath the lapels of the Jacket for the appearance of a full shirt, whilst being much more comfortable. The crisp white Shirt and bright yellow Tie coordinate with the rest of the outfit perfectly. The Holiday Camp Hostess Costume is perfectly completed with a pleated white Shirt which has a mid-length design to finish off this fun design. A great choice for 80s fancy dress, a fun take on a Uniform theme and also popular for group fancy dress (check out the coordinating male outfit for a great couple combination or group fancy dress).